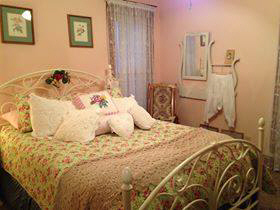 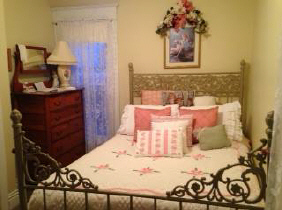 The Courtney Elizibeth Room offers a lovely Queen iron bed. 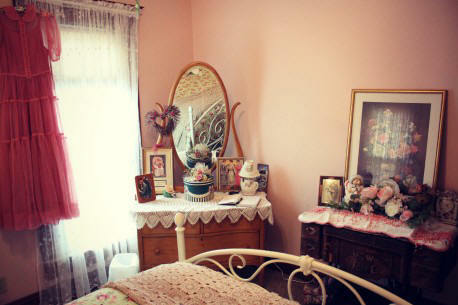 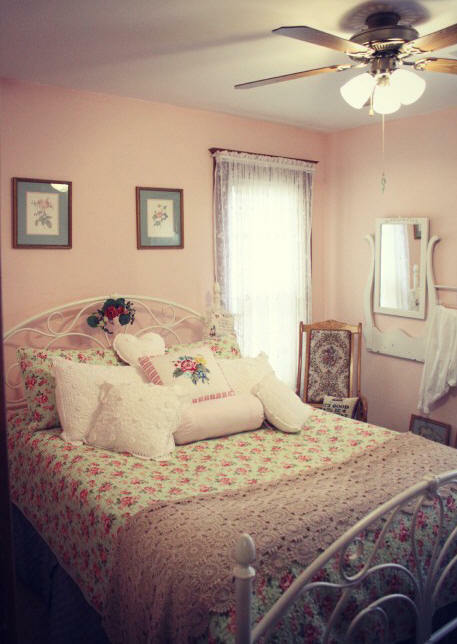 The room is done in shades of green and cabbage rose pink. 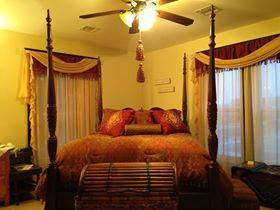 $95 a night for two!